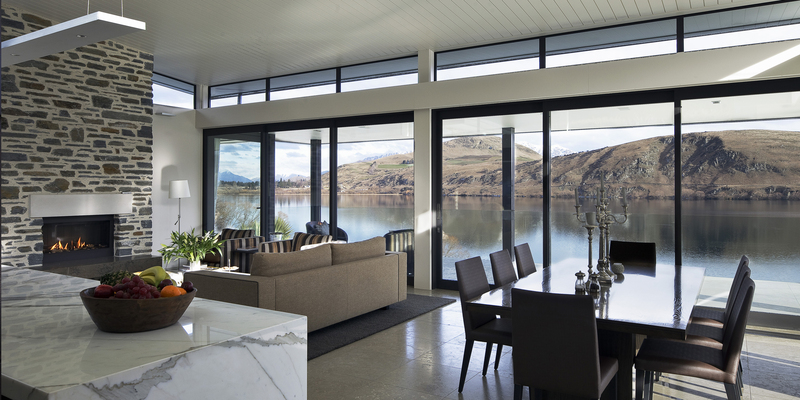 Kitchens By Design | Kitchen Design for Discerning Clients : Lake Hayes. 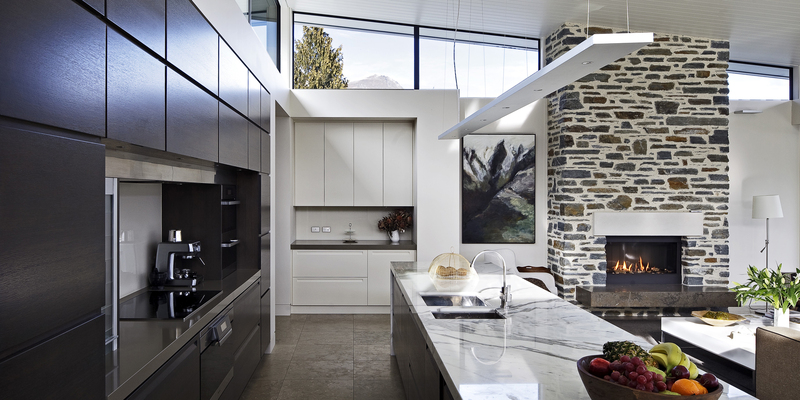 Sitting on the shores of the idyllic Lake Hayes, just a few kilometres from the centre of Queenstown, is this stunning new home – and within it, is an equally stunning kitchen. Our client requested sleek, clean lines, in keeping with the contemporary architecture of the home, but they didn’t want anything that competed with the marvellous view of the lake and mountains beyond. The cavernous, open-plan space in which the kitchen sits in is symmetrical, so formal balance came into in play in terms of the design of oak veneer cabinetry that has been inset into the rear wall, and the position of the large central island. A luxurious marble was chosen for the island, and it was designed to have the appearance of being hewn from a single piece of stone. A thin blade light above the island provides task lighting. Flanking the kitchen, in white cabinetry, is a separate bar on one side, and a large fridge and pantry at the other. All the cabinetry is custom designed, with no handles, instead using negative detailing for the pulls. 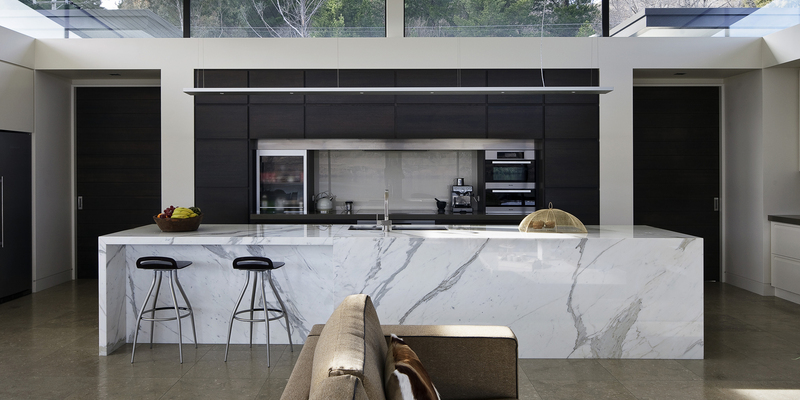 The cavernous, open-plan space in which the kitchen sits in is symmetrical, so formal balance came into in play.